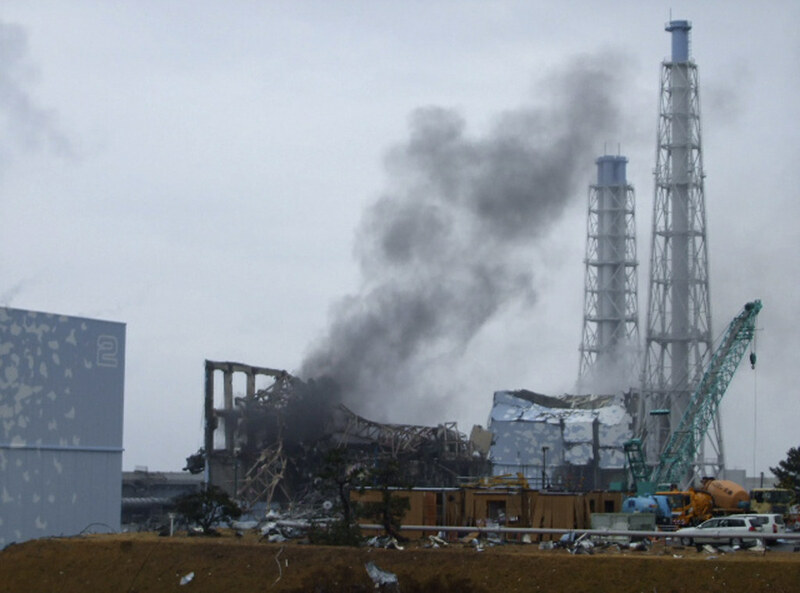 Between March 18 – 21 of the 2011 disaster, white and black smoke was seen leaving the unit 3 reactor well in significant quantities. At the time TEPCO claimed they didn’t know a reason. At the time a few radiation readings outside the plant caused concern that the two things were related. All of this was mostly ignored by TEPCO and the press. New investigative research supported by NHK TV found a series of significant events that shed light on what happened during these later days of the disaster. On March 17, workers still had no power in the main control room. They were able to guess at the reactor vessel water level using a manual gauge. Other instrumentation was still down. This included temperature and radiation instruments. New data gathered from government radiation monitoring stations near the plant established that between March 18-21 there were three pulses of radiation. Each of these were as significant as the initial reactor explosions in the amount of radiation they released. On March 17, TEPCO HQ working with various government agencies decided they should reduce the amount of water being injected into the reactors. In particular unit 3. The TEPCO emergency manual cited a maximum amount of water that could be injected per day into the reactors. The HQ decided the water injection must be cut as they were exceeding this number. 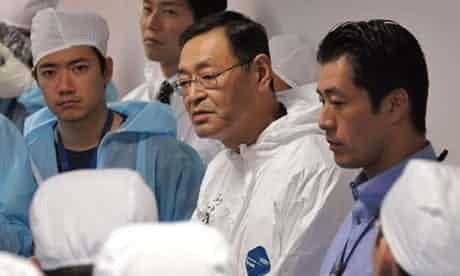 NHK’s analysis found that plant manager Masao Yoshida was not in on these conversations and was dealing with a much larger crisis at the plant at the same time. Workers had been operating day and night for going on 8 days with little food or rest. He repeatedly asked Tokyo for relief workers. It appears none were ever sent. Workers were also reaching concerning levels of radiation exposure with many already over 200 mSv in exposures. At the same time 4 workers were unaccounted for. The even more urgent problem was the spent fuel pools that were losing water. Loss of water over the massive pools of spent fuel could kick off a pool fire. Dumping cold water on spent fuel that had already begun to heat up could result in the fuel assemblies exploding due to the temperature change. Either event would have likely killed everyone at the disaster site and released massive amounts of radiation across Japan. While Yoshida debated what action to take, he was coordinating with the Japanese military (SDF) to attempt to dump water from a helicopter. There was also coordination with the Tokyo Fire Department Hyper Rescue squad. The fire department team eventually reached the plant with fire equipment used for fighting high rise fires. These were used to throw water into the spent fuel pools and later to try to suppress some of the releases out of unit 3’s reactor well. 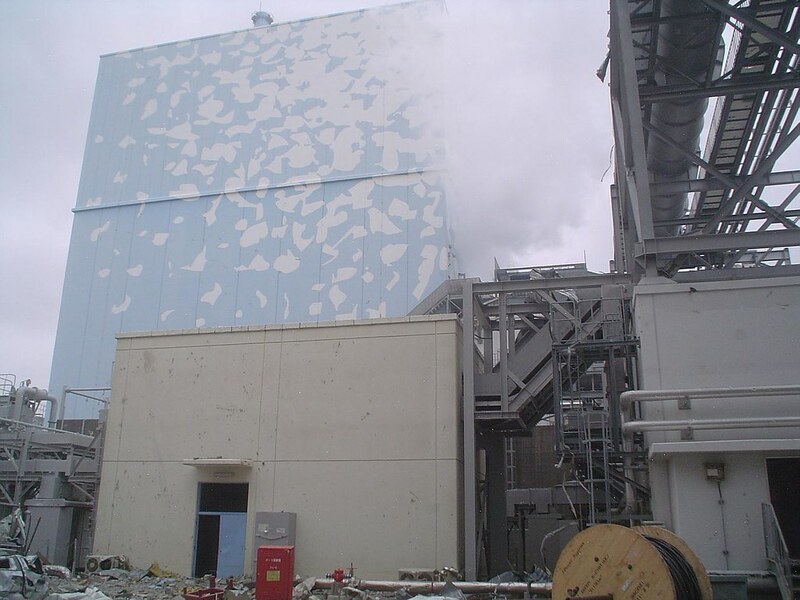 While Yoshida was dealing with the more urgent disaster, he complied with TEPCO’s request to reduce water injection into unit 3. 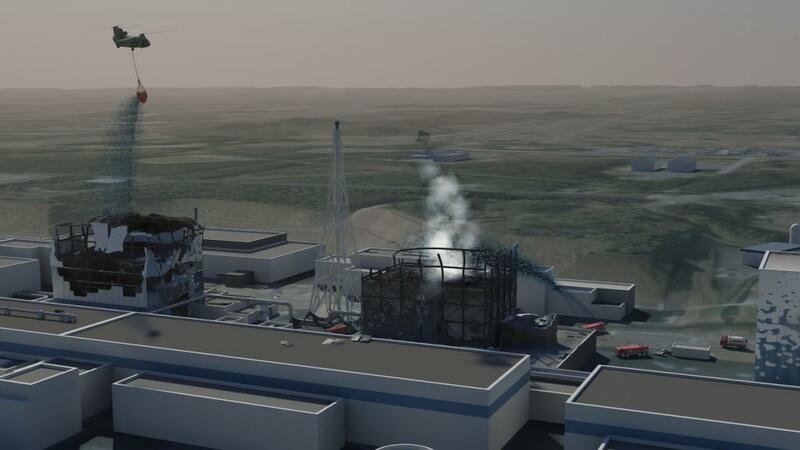 On the morning of March 17 unit 3 reactor pressure had jumped to 420 kPa in 30 minutes. The suppression chamber pressure began rapidly fluctuating and jumped 20 fold. These events caused TEPCO HQ to discuss reducing water. 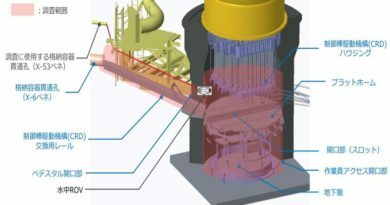 Water injection for all three reactors was significantly reduced. Unit 3 went from 600 liters per minute down to 160. Later data discovered that the water reduction caused units 2 and 3 to heat up. This caused moisture to evaporate inside containment. Cesium and “other materials” broke loose from surfaces they had clung to and released along with the steam and smoke into the environment. Those “other materials” mentioned in the NHK documentary may have been the fused nuclear fuel microparticles that were released from the reactor. Unit 2 had begun to belch out huge volumes of steam or white smoke from the blow out panel on the refueling floor around this same time. NHK’s expert panel says that this event was where unit 2 released significant amounts of these same materials as unit 3. During this time no one was aware that the water reduction was causing these massive radiation releases. There was no indication among the available radiation monitoring at the plant that anything was wrong in this regard. It is likely the releases were going up into the air therefore missing the available radiation monitoring stations at ground level at Daiichi. The urgency of the spent fuel issue caused the work to connect to outside power to be delayed for two days. Power to the control room would have shown that the water reduction was having a devastating effect. 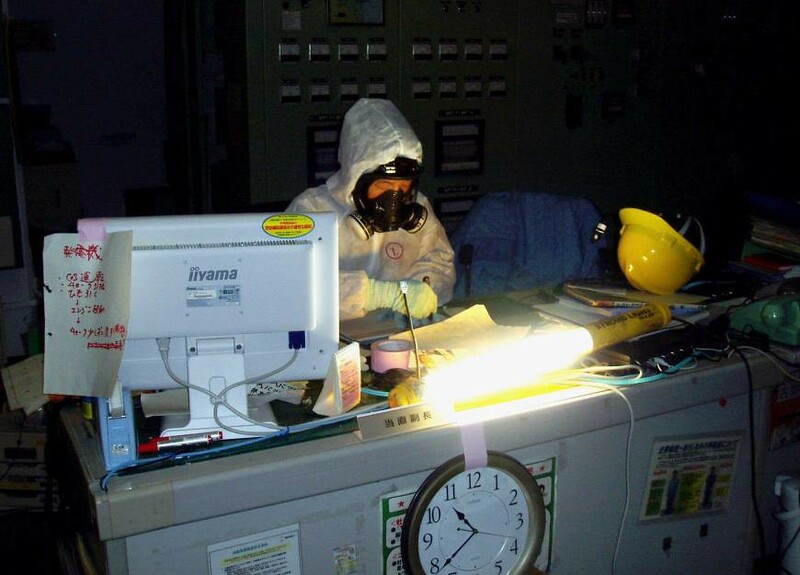 On March 19 the main control room regained power. They found the temperature inside unit 3 was off the gauge. When TEPCO HQ was eventually informed of the increased temperatures in unit 3 they did order water injection to be increased. It was too late, significant releases had already taken place and continued into March 21. 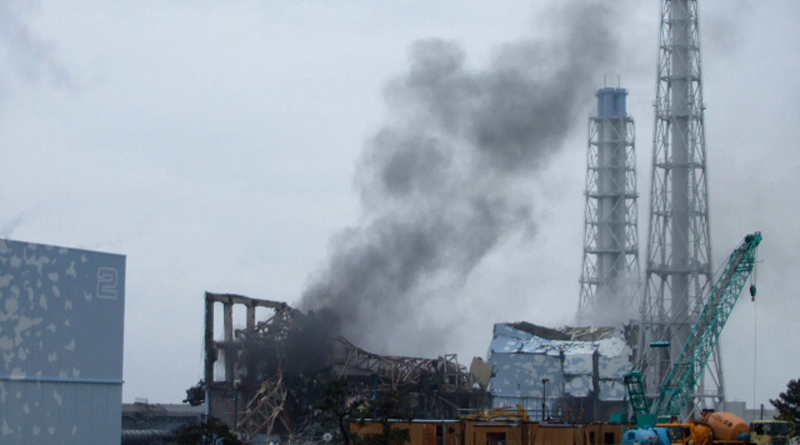 Documented radioactive contamination spread north and west of the plant site on March 17. On March 18 it began to spread north and south all the way to Tokyo. By March 23 the levels of iodine 131 in Tokyo city drinking water exceeded legal limits. It was during this same time period that people south of Daiichi outside the evacuation areas began complaining of nosebleeds, sore throats and other health problems that could have been caused by radiation exposures. The “fog of war” at the plant and the lack of a more comprehensive disaster manual may have compounded the problem. There really wasn’t a good option at hand. The amount of cooling water needed to over come a meltdown is so significant that even approaching that level of water application would create a significant containment failure or worse. Doing less than that may have just exacerbated radiation releases to the environment.